Following the implementation of the ban, an immediate 13% decrease in all-cause mortality was observed (RR: 0.87; 95% CI: 0.76–0.99). Mortality decreases were primarily due to reductions in passive smoking. Blimey. No quibbling about correlation and causation for these folks. Who are these folks, anyway? Step forward Luke Clancy, currently of the Tobacco Free Research Institute, previously the chairman of ASH Ireland and the lead figure in the smoking ban campaign back in 2003. What better man to mark his own homework? What does "immediate" mean here? Overnight? Within a month? A year? The authors do not tell us, but they also—quite rightly—look at diseases which they don't think are caused by passive smoking (a small and dwindling category) to use as a control. Doesn't that undermine the central claim? ...followed by a 5% increase each post-ban year (RR: 1.05; 95% CI: 1.02– 1.08). Huzzah! So the smoking ban saved lives in the 35-64 age group then? ...followed by annual trend increases in all-cause mortality (RR: 1.06; 95%: 1.02–1.10), resulting in a net post-ban increase of 2%. Maybe not. It seems that if you weren't a pensioner, the smoking ban was bad for your health (if, like Clancy et al., we assume that correlation = causation). 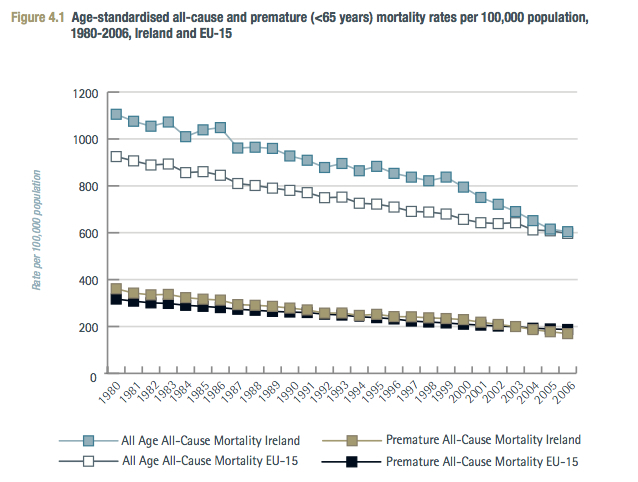 Of course, it is mainly pensioners who die of cancer, heart disease, stroke etc., even if it is mainly younger people who go to pubs and workplaces, and we know that all-cause mortality has been declining for years (see top blue line). The Irish smoking ban was introduced in March 2004. 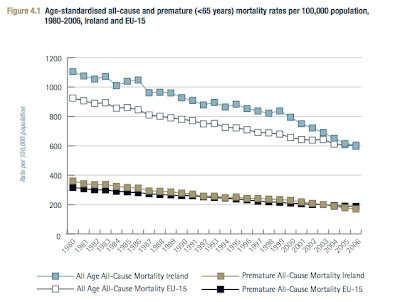 Can you spot the dramatic decline in mortality around 2004-05? To me, it looks very much the existing downward trend continued and, if anything, slowed down in the post-ban period. In the end, Clancy et al. resort to apply the statistical trick method of simply guessing how much higher rates of disease might have been if Clancy hadn't succeeded in getting the Irish government to ban smoking in 'public' places. In the absence of a national smoking ban, an estimated 3,726 (95% CI: 2,305–4,629) additional smoking-related deaths would have occurred. All in a day's work for tobacco control. 1. 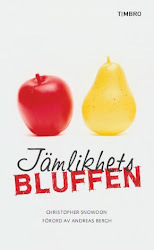 John Dalli's friend, Silvio Zammit, attempted to solicit a bribe from Swedish Match, claiming that he was working on behalf of Dalli and could get the snus ban overturned. This is confirmed by a recorded telephone conversation. Neither Zammit nor Dalli's friends in the Maltese and EU media are denying this aspect of the investigation. 2. OLAF has indeed uncovered "unambiguous and converging pieces of circumstantial evidence" that Dalli knew about Zammit's attempt to solicit a bribe. Phone records show that Zammit attempted to call Dalli during his first meeting with a representative of Swedish Match on 21 October 2011 and spoke to him later that afternoon. Thereafter, there were 23 phone calls or text messages between Dalli and Zammit between 5 January 2012 and 17 July 2012. Of these, 17 were made "immediately before, after or on the same day" as key events in the Zammit bribery timeline. These include Zammit calling Dalli just seven minutes after speaking to a representative of Swedish Match on 29 March and Dalli calling Zammit twice later the same day, less than two hours after the (recorded) conversation in which Zammit attempted to solicit the bribe. If Zammit and Dalli were in constant contact, these phone calls at crucial moments could be dismissed as coincidence. However, they spoke on the telephone relatively infrequently. For example, after 13 April, the phone records show no contact between the pair, but on 17 and 18 June—shortly after OLAF began its investigation—several phone calls were made. There were then no more phone calls until Dalli phoned Zammit on 6 July—a day after OLAF interviewed Zammit as part of the investigation. 3. Dalli has been changing his story. OLAF notes that he initially denied meeting Zammit on the 10 February 2012. He has since admitted that this meeting did, in fact, take place. Other aspects of Dalli's story do not stack up. In light of the phone calls made between Dalli and Zammit in mid-June and early July, after OLAF had interviewed Zammit and a third Maltese individual Gayle Kimberley, OLAF says that: "It is not realistic to believe that they did not talk about the matter under investigation and OLAF's latest intervention." However, when OLAF interviewed Dalli on the 16 July, he claimed to have been unaware of the investigation until several days after these phone calls were made. OLAF has found inconsistencies and contradictions in the accounts of all three 'persons of concern' (Dalli, Zammit and Kimberely). By contrast, the accounts given by representatives of Swedish Match are consistent with each other and with the telephone evidence. The OLAF report supports what Swedish Match has been saying from the outset. They were approached by Zammit, claiming to act on Dalli's behalf, who attempted to solicit a bribe of €60 million to overturn the snus ban. They declined this offer, tape recorded a phone call as evidence and reported him to OLAF. It remains to be seen whether Dalli's involvement in this sordid affair can be proven beyond reasonable doubt in a court of law. All the evidence in the OLAF report is consistent with the theory that Dalli was, at the very least, aware of Zammit's approaches and failed to report him. There is no doubt that Dalli is/was close to Zammit, and one has to ask why Zammit would request a bribe if he had no way of getting Dalli to overturn the snus ban. If Dalli had not been involved and Swedish Match had paid up, what was he going to do? Run away with €60 million? It also remains to be seen whether the EU's 'public health' lobbyists and their friends in the media will drop their conspiracy theories, stop their smearing of OLAF and finally distance themselves from this man now that the facts are in the public domain. You can read the OLAF report here. Completely ignored by the British media, Denmark is abandoning its soda tax and is cutting beer duty because—guess what?—it turns out that simplistic 'public health' policies have unintended consequences. Well, I'll be damned. In short, the Danes have had the same experience with the soda tax as they did with the disastrous fat tax. The decision comes months after the government in Copenhagen repealed a similar tax on foods with high concentrations of saturated fats -- dubbed the world's first "fat tax." The measure was introduced with the intent to incentivize healthier eating, but authorities said it ultimately just drove up food prices and put jobs in jeopardy. The message is clear. These policies are unpopular and people will search out cheaper alternatives whenever they can find them. Happily, the Danish government has come to terms with reality and is now rolling back prices. The tax on soft drinks is to be halved by July and completely abolished by next year, making a 1.5-liter bottle of soda three kroner (€0.40) cheaper in the end. The lesser tax on beer is to be cut by 15 percent by July. Finance Minister Bjarne Corydon told public broadcaster DR on Monday that the tax's repeal, which has broad support in parliament, would provide a "powerful growth spurt" to the Danish economy. The same bone-headed 'public health' lobby that cried salt tears when the fat tax was dropped will doubtless complain that Denmark's (left-wing) government is putting financial considerations before health. There is, however, no evidence that either tax had any effect on health. Moreover, since these lobbyists' main justification for state interference in the nation's diet is that fatties cost the government money, they can't—or at least shouldn't—complain when governments try to save money. Taxing 'unhealthy' food and drink remains a key priority for the public health industry, not least in the UK where a concerted campaign has been underway since the start of the year. Campaigners have so many computer models showing that these sort of taxes will be a terrific success that they are able to shrug off real world evidence such as Denmark's. Group consensus and computer models are reality in the public health bunker. But the fact remains that a country not so far from Britain has experimented with a fat tax and a soda tax in good faith but has swiftly abandoned them because (a) they don't work, (b) they are unpopular, and (c) they have unintended, albeit predictable, consequences which are bad for the economy. For reasons that now escape me, I went to a Fabian Society event at the 2009 Labour Party conference (it was in Brighton, where I was then living—I can think of no other excuse). It was there that I picked up a free copy of Fabian Review which featured an article warning about "the danger that the Conservatives might win" the forthcoming election (see left). 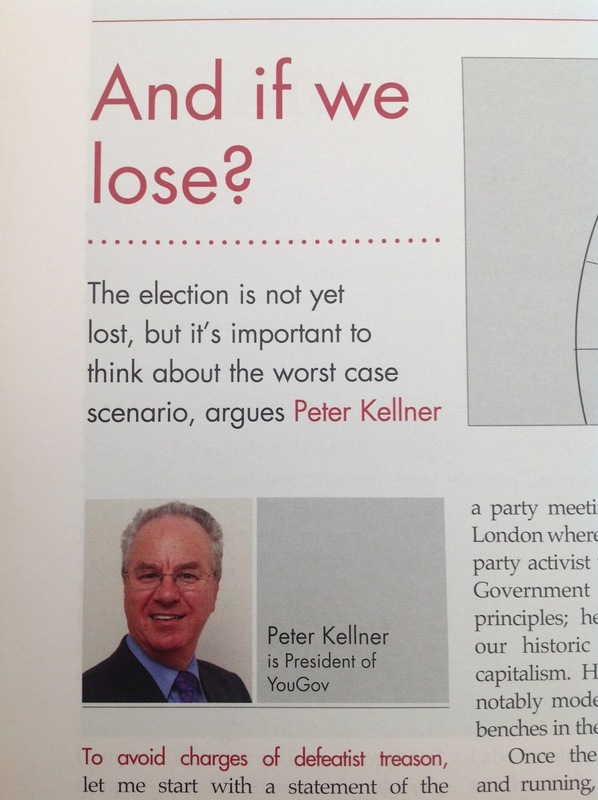 Nothing unusual about that in a socialist magazine, but I was slightly surprised to see that it was written by Peter Kellner, president of the opinion polling company YouGov and the BBC's go-to man for election analysis. 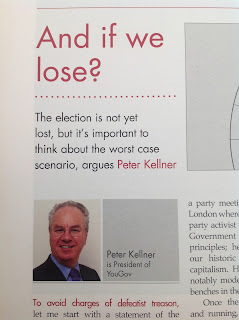 I knew that Kellner was a bit of a lefty, but I didn't realise he was such an active Labour supporter. YouGov are the pollsters of choice for ASH on whose board Kellner also happens to sit. He chaired the editorial board for ASH's 2008 'Beyond Smoking Kills' report, for which YouGov provided survey data (which, by the way, found that plain packaging was the least popular of the twelve proposals put forward) and he is in the habit of writing open letters to politicians calling for neo-prohibitionist legislation. Today, he has sent an e-mail from his YouGov account making a final plea for plain packaging (a shorter version of which is published at the Huffington Post). He gives four lame reasons why ministers should embrace 'standardised packaging', starting with the claim that "it would be popular" based on a YouGov poll—tellingly, he does not mention the public consultation. Reason number two is that it "would be cheap"—questionable, but so what anyway? I can think of dozens of stupid laws that would be cheap. Reason number three is that "there is a real prospect that, over time and in conjunction with other reforms, fewer teenagers would take up smoking"—faint praise indeed; even a trustee of ASH can't bring himself to go beyond vague aspirations and even these require "other reforms" to go alongside it. Reason number four is that "this is the least disruptive" of the recent neo-prohibitionist policies because, for example, "it does not force smokers to change their habits in pubs or office"—again this is questionable, but even if it were true it would be irrelevant. 1. The tobacco industry doesn’t like it. How very droll. Except that there is a host of reasons given by politicians, policeman, libertarians, customs officers, brand experts, packaging companies and intellectual property lawyers which Kellner neglects to mention. The irony is that "the tobacco industry doesn't like it" is actually the number one reason why the tobacco control lobby wants to introduce plain packs. The policy passes what these puerile idiots call "the scream test"—ie. if the industry protests, it must be worth doing. They know—and occasionally admit—that the industry's real concern is that they will sell fewer premium brands, not that they will sell fewer cigarettes in general, but annoying the industry is more important to them than reducing the smoking rate. Kellner is obviously entitled to his opinion, but there is something rather undignified about the president of a polling organisation making a last ditch effort to rally the troops. I thought that in Brighton in 2009 and I think it still. There is touch of McCarthyism in the air. It is not enough for the temperance lobby to have the loudest voice in the room. Their opponents must also be silenced. Last week's SHAAP report (currently offline*) was part of a growing campaign to treat the drinks industry like the tobacco industry. In particular, the temperance lobby would like to see 'the liquor trust' subject to something like Article 5.3 of the FCTC. Article 5.3 says that tobacco policy should be protected from "commercial and other vested interests of the tobacco industry". This is not unreasonable, but the instruction has since been interpreted by various governments, including the EU, to mean 'don't talk or listen to the tobacco industry'. Since it never occurs to regulators to listen to consumers or the general public, the effect has been to create an echo chamber in which state-funded NGOs lobby the state for neo-prohibitionist measures. Having silenced the opposition, the NGOs are able to made absurd claims without being held to account. Any lobby group would love to find itself in such a privileged position. As 'alcohol control' increasingly relies on junk science and rigid ideology, demonising the opposition and silencing critics is an urgent priority. Step forward Alcohol Research UK, an allegedly non-partisan organisation which used to produce some decent research, but now publishes propaganda like this. The alcohol industry has been accused of distorting evidence in an attempt to influence the Scottish government over its minimum pricing policy. Academics examined submissions made by the industry to the government's public consultation in 2008. They said their research suggested the responses had "ignored, misrepresented and undermined" scientific evidence. The 'study' is here and what a mess it is. The thesis is that there is One True Alcohol Policy which has been approved by science and which is being undermined by "commercial interests" who dare to cast doubt on it. The implications are obvious, but the authors hammer them home for the benefit of obtuse readers. These tactics mirror those of the tobacco industry, to which some producer organisations are closely related. Unlike the tobacco industry, which has been excluded from direct influence in policy making in many countries, alcohol industry actors continue to exercise strong influence on alcohol policies across the world... An important tactic in contemporary corporate lobbying, pioneered by the tobacco industry, is the construction of doubt about the content of scientific evidence, and this may underlie the approach taken in these submissions. The authors conspicuously fail to mention that 'what should be done about alcohol pricing?' is a fundamentally different question to 'does smoking cause lung cancer?' The latter is a question that can be answered by science, whereas the former is a question of costs and benefits. We can make alcohol cost £10 a unit with the reasonable expectation that this will reduce alcohol consumption but that does not mean we should do so. What are the unintended consequences? Would it be a proportionate response? What are the costs to the public? What are the implications for liberty? There is no scientific answer to the question of whether a policy is reasonable, proportionate or fair. Moreover, the question of minimum pricing necessarily involves speculation. One of the more absurd and troubling developments in this pocket of academia in recent years has been the conceit of portraying estimates based on untried—and often dubious—assumptions as proven science. Minimum pricing might reduce alcohol-related harm, or it might increase it, or it might do nothing, or it might have unintended consequences which outweigh the possible benefit to 'public' health. 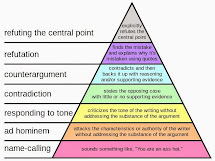 There are plausible reasons for each of these possibilities and different opinions should be heard and respected. Obviously, we expect the drinks industry to put forward reasons why the state should not seize control of the pricing mechanism. Equally obviously, we expect the temperance lobby to recommend higher prices, restrictions on availability and bans on advertising—they've been saying that since the 1820s. It is the job of politicians to assess these competing claims and to balance different interests, including the interests of drinkers. the study accused Asda of making "unsubstantiated claims" about the adverse effects of the policy proposals, which the supermarket chain said would "create incentives for the black market and criminals and illegal door to door sales." Notice how Asda has become part of the drinks industry in the eyes of these people. Notice also how Asda clearly has a point. 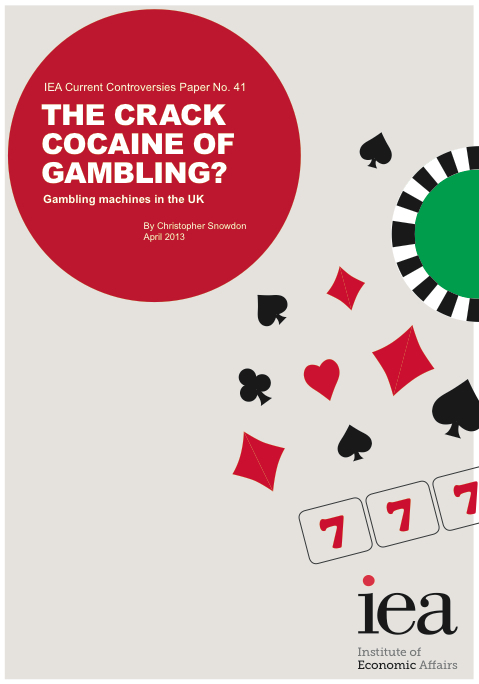 Is Alcohol Research UK seriously claiming that higher prices do not create incentives for the black market? If so, I wonder what they think does provide incentives if not profit? How strange that the temperance lobby's case for minimum pricing rests on (a naive understanding of) the law of demand and yet they dismiss the law of supply as a drinks industry myth. The report, which was funded by the charity Alcohol Research UK, stated: "The Portman Group made unsubstantiated claims that the proposals could "increase the appeal of alcohol to young people by creating a 'mystique'" and thereby "turning alcohol into a 'forbidden fruit'". Well, it might. Or it might not. We don't know, but there are plausible reasons to think that banning advertising, for example, might well create a certain mystique around alcohol. It does not seem ridiculous to suggest that forbidding something might give it a "forbidden fruit" appeal. Note that the authors of this study are not merely disagreeing with this suggestion, but are asserting that it is demonstrably false and that the mere mention of it amounts to the "construction of doubt about the content of scientific evidence". This goes beyond smear tactics. These people are saying that they can predict the future with 100% certainty and everybody else should shut up. we suggest that the public interest is not served by industry actors’ involvement in the interpretation of research evidence. There is no such thing as the 'public interest' and even if there were it could not be objectively defined by the sociologists who wrote this study (yes, it's sociologists again). There are competing interests which need to balanced. The whole point of having a public consultation is to hear different views from different interests. If there was a scientifically proven One True Alcohol Policy we wouldn't need public consultations or democracy, we would just hand over the levers of power to social scientists. And wouldn't they like that? James Nicholls from Alcohol Research UK has e-mailed me to stress that the conclusions of this study do not necessarily reflect the view of the organisation. I'm happy to clarify that Alcohol Research UK funded, but did not conduct, this study. Today sees the publication of a new IEA report in which I look at the current controversy over virtual gaming machines (AKA fixed odds betting terminals—or FOBTs). These machines give people a bit of fun and entertainment in their lives, so naturally there is a campaign to ban them. The report looks at the various claims made by campaigners and finds them to be deeply misleading if not demonstrably false. You can download it here and I've written a short blog post about some of the most pervasive myths here. This bafflingly incoherent statement is part of the temperance lobby's latest attempt to ban alcohol sponsorship. Taking a leaf out of the anti-smokers' book (quelle surprise), they have noticed that most people do not wait until they're 18 years old before taking their first drink. Perhaps they will soon be describing alcoholism as a 'pediatric disease'? "Because these children are going to grow up to be among the heaviest drinkers on earth by the time they are 20 years old, it is they who are the real targets of alcohol advertising and sponsorship." Yes, why target people who are actually drinkers when you can target people who might one day become drinkers but who are legally prohibited from buying your product? “While common sense tells us that sponsorship promotes consumption, with typical arrogance the alcohol Industry, and those in receipt of its money, demand that we provide them with evidence that it does." 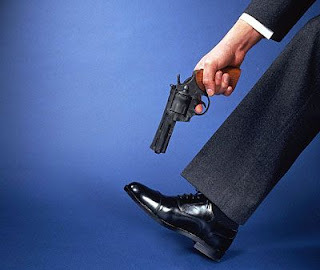 Further to yesterday's post about the WHO's ties with the pharmaceutical industry, I see that the UK National Smoking Cessation Conference is set to be held in London in June. Like much of the tobacco control industry, this conference has always been heavily sponsored by the makers of 'nicotine replacement [sic] therapy [sic]'. This year, however, the level of corporate involvement hits new heights, with each of the pharmaceutical funders being given time in the schedule to make their case and flog their wares. 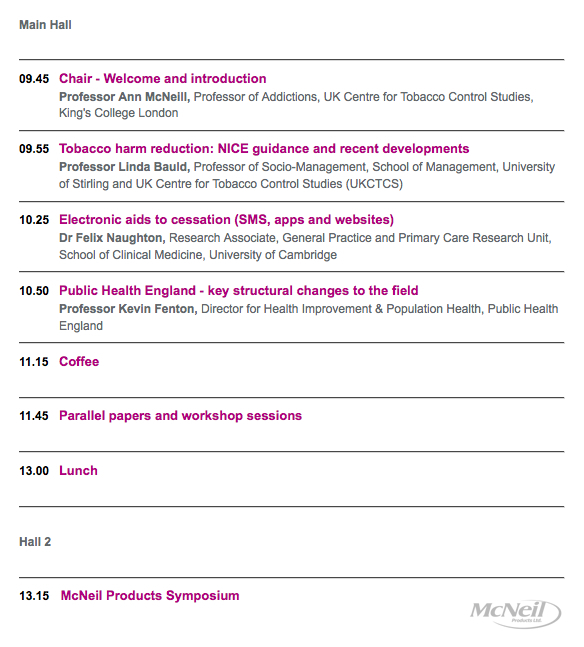 The first morning of the conference sees a good deal of discussion about harm reduction, including e-cigarettes, so McNeil Products UK will be pleased to be able to extol the virtues of its Nicorette range after lunch. Later in the day there is a debate about whether tobacco control freaks "should be positive about the development of e-cigarettes, even if they're developed by subsidiaries of tobacco companies". Judging by her ill-informed comments in Brussels recently, CRUK's Jean King will be opposing the motion. Delegates from GlaxoSmithKline, the makers of NiQuitin, will doubtless be cheering her on before they take the stage for their own 45 minute presentation to round off the day's proceedings. 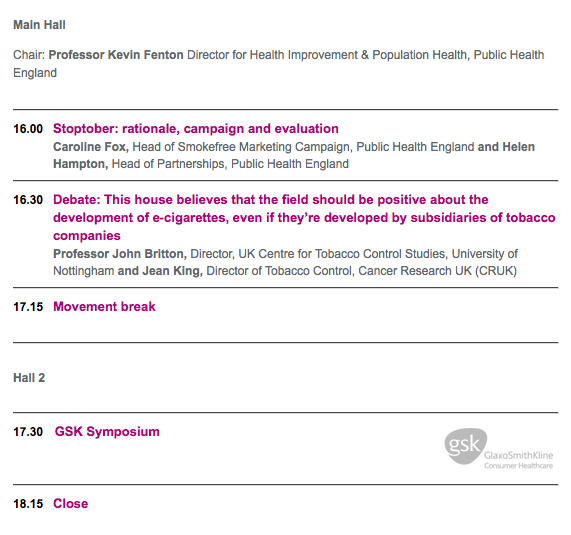 Day two kicks off with a symposium by Pfizer, the manufacturer of the highly controversial stop-smoking drug Chantix. Perhaps they'll be talking about how they recently paid out $273 million in compensation to victims and families affected by the spate of suicides and other injuries that have been linked to this 'medicine'. 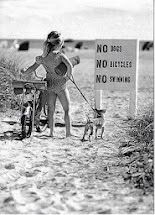 Or perhaps they won't. To be clear, I'm not arguing that industry shouldn't be sponsoring events like this. On the contrary, I think they should be entirely privately funded. But I do find it ironic that the public health lobby maintains its obsessive McCarthyism, paranoia and smear campaigns when it comes to the tobacco, alcohol, food and e-cigarette industries while quite literally giving Big Pharma a platform at its own events. Using taxpayers' money to lobby for bans and tax hikes? Sounds familiar. This kind of thing is strictly forbidden in the USA under the Anti-Lobbying Act which bans the use of government money being used to influence "an official of any government, to favor, adopt, or oppose, by vote or otherwise, any legislation, law, ratification, policy, or appropriation." Ha! Show no mercy to the tax-sponging criminals. “The DHEC stated outright that the purpose of altering the minutes was to hide the fact that its CPPW program coordinator had directed illegal lobbying in the pursuit of smoke-free ordinances,” according to the Cause of Action report. Not the sharpest knives in the drawer, are they? If you're going to flout the law its probably best not to signal your intentions on the grant application form. This is the same arrogant hubris that led ASH (UK) to signal similar intentions on its own grant application form. But while these American 'advocacy' groups were in breach of the law (allegedly), ASH merely breached Department of Health rules—rules which the DoH appears to have no intention of upholding. How like our own Department of Health, which is the only UK department to proudly acknowledge its network of state-funded astro-turfers. Interesting to note that this kind of behaviour can land you in jail in the USA, but will earn you a pat on the back in the UK. The truth is that most people in 'public health' have no faith in education and are only interested in legislation—usually for "greater taxes and restrictions". If the government grants them cash, it will likely be used to lobby and campaign somewhere down the line. There are many examples of this happening in recent years, including Public Health England, Balance North-West, ASH, Alcohol Concern, Consensus Action on Salt and Health, Sustain, Tobacco Free Futures and Smokefree South-West. Since the Department of Health is unwilling to put a stop to this misuse of public funds, perhaps it is time for our politicians to consider a British equivalent of the Anti-Lobbying Act? c. All private and commercial vehicles while they are on WHO compound. The above applies to all persons while on the WHO premises regardless of the purpose for their visit. Health Medical Services (HMS) in collaboration with CIPRET a local nongovernmental Organization will continue to provide support for tobacco cessation to any WHO employee who requests it. Clear signage will be posted in English and French at entrances to the buildings and premises and all ashtrays will be removed from the premises. Notwithstanding the responsibility of the Organization to protect and promote health and safety at work, staff are responsible for knowing and adhering to the provisions of this information note. It is expected that all staff members will contribute to a smoke-free compound by informing any violator that the WHO compound is smoke free. The WHO has had a policy of not employing tobacco-users for some years, so the smoking ban will only affect visitors. But there is, of course, not a shred of a scintilla of a smidgeon of scientific evidence to justify a ban on the use of e-cigarettes indoors, let alone outdoors. What is the problem here? Is it nicotine use per se? If so, why aren't pharmaceutical nicotine products included in this ban? Could it be because the companies that make them all give generously to the WHO? The WHO seems intent on not allowing those "high returns" to be put at risk. Shame on them. The EU's new Tobacco Products Directive is an appallingly ill-considered piece of legislation which exists principally to bolster the egos of European Commission officials. From banning e-cigarettes to prohibiting menthol, its main clauses are petty, vindictive and frequently bad for health. It has already been rejected by sane politicians. There is an urgent need for this draft legislation to be amended to reflect science and reason. Unfortunately, the person put in charge of suggesting amendments is Labour MEP Linda McAvan and she is an advocate of neither. Incredibly, she has found ways of making it even worse. In her role as rapporteur, McAvan has ignored the scientifically insupportable ban on snus (in force since 1992) which the Directive could overturn. She has also ignored the de facto ban on e-cigarettes (which the Directive will bring about). Instead, she has gone through the draft directive line-by-line, looking for ways to put new warts onto an ugly piece of legislation. As if it were not enough to ban the two products which have the greatest potential to reduce the number of cigarette smokers, McAvan wants to hinder the development of any other reduced harm products in the future. (31) All tobacco products have the potential to cause mortality, morbidity and disability and their consumption should be contained. It is therefore important to pre- authorise any novel tobacco products. An obligation to apply for a marketing authorisation for novel tobacco products should be put on manufacturers and importers. Tobacco products are extremely harmful to public health and should not be allowed on the market without being pre-authorised by public authorities. This amendment will override the draft TPD's proposal that a "notification obligation for novel tobacco products should be put on manufacturers and importers." Instead, McAvan wants new products to be preemptively banned. And, as we have seen with snus, once the EU bans a 'novel' product, it does not matter how much evidence subsequently appears to demonstrate safety and efficacy, it stays banned. Like much of the TPD, McAvan's amendment seems designed to allow cigarette manufacturers and pharmaceutical companies to tighten their stranglehold on the nicotine market. 22 a. Where combined health warnings are used, the rest of the tobacco package should be standardised and free from any branding, in order to maximise the impact of the health warning. Evidence shows that standardised packaging is particularly effective in dissuading young people from starting to smoke. Saying that plain packaging is "proven to be effective" in preventing people from smoking is simply a lie. It has only been tried in Australia and there is as yet no evidence that it has lived up to any of the promises made by the tobacco control industry. It is also untrue that plain packs are the most "effective" way of maintaining a single market, but if the EU were truly concerned about maintaining a single market, it would make snus legal across all member states, not just in Sweden. 4. Member States shall ensure that the health warnings of the main surface of the unit packet and any outside packaging are fully visible, including not being partially or totally hidden or interrupted by wrappers, pouches, jacket, boxes or other devices when tobacco products are placed on the market. 4. Member States shall ensure that the health warnings of the main surface of the unit packet and any outside packaging are fully visible, and shall adopt the necessary rules to prevent the placing on the market of any type of wrapper, pouch, jacket, box or other device which partially or entirely hides or interrupts the health warnings. Measures should be taken to ensure that the health warnings are clearly visible to the public. This is the downward spiral of tail-chasing bureaucracy that Brussels in renowned for. If they make the packs too ugly, people will cover the packs and not see the warnings. A mature democracy would therefore respect the consumer by not using silly shock tactics, but would provide sober, evidence-based information about the hazards of smoking instead. Such an approach does not even occur to the grandstanding neo-prohibitionist addict of legislation, who prefers to ban "wrappers, pouches, jackets, boxes" and anything else that could conceivably cover a cigarette pack. Good luck with that, boys and girls. Although minimum pricing seems to have been dropped by the Westminster government, the Scottish Assembly is still trying to press ahead with it. As regular readers will know, minimum pricing is almost certainly illegal under EU law and the Scottish government was hoping that the English would take the legal bullet by fighting its case in Strasbourg. This now seems unlikely and the SNP will have to deal with that problem somewhere down the line. For the time being, it is embroiled in a legal dispute with the Scotch Whisky Association and others about the same issue. SHAAP are holding an event today—chaired by the far-left academic Gerard Hastings—which will urge the whisky makers to drop their lawsuit. Why? Well, er, because SHAAP likes the idea of minimum pricing and the law can go hang. Like many 'public health' folk, they feel that the argumentum ad tobacco is all they need—as if lawsuits are only ever filed by the tobacco industry. The following quote comes from Peter Rice, chair of SHAAP. “The tactics deployed by the drinks industry are not new and borrow heavily from those used by the multinational tobacco industry which over a number of decades has sought to block health policies contrary to its profit-making objectives, ignored evidence of adverse health impact and has similarly sought to undermine the Scottish Parliament by mounting legal challenges to smoking legislation. Take that in for a moment. This lobby group is not claiming that minimum pricing is legal. It is not claiming that the drinks industry does not have a case for requesting a judicial review. It merely claims that the drinks industry is undermining "democratic decision-making" by raising a legal objection against an SNP government that got 32% of the vote at the last election. They misunderstand the whole point of civilised democracy. We have a legal system, built up over many centuries, precisely because we don't want temporary custodians of political power to run roughshod over our rights. Checks and balances, lad, checks and balances. If a government runs foul of the law, we assume that our government is at fault, not the law. If the law is wrong, that must be addressed after careful consideration. Unfortunately, we will occasionally encounter democratically elected governments who wish to ignore the law. They will naturally 'discourage' anyone from taking them to court, but the law must take its course regardless of who is doing the 'discouraging'. What is SHAAP anyway? Set up in 2006, they are the very model of a government sock puppet. Their only listed funder is the Scottish government and it is the Scottish government that provides its core funding. It is a state-funded body working as an activist for the government. It is an arm of the state demanding that a private interest drops its lawsuit against the state because the state wishes to prevail. There is a name for this form of political governance and it sure ain't liberalism. Public health doctors have unanimously hated Thatcher and her legacy, and to show his scorn Gabriel Scally, a public health doctor, tells us on Twitter that his response to her death is to contribute to the memorial fund for Michael Foot, who was truly a great politician. This tells you pretty much everything you need to know about Thatcher and the mandarins of 'public health'. If, as I can well believe, she was really "unanimously hated" by these people then more power to her elbow. It only goes to confirm that the whole 'movement' is dominated by half-witted left-wingers who should keep their opinions about politics and economics to themselves. Gabriel Scally is a case in point. Like Smith, he continues to admire Michael Foot, a man who was wrong about every important issue of his lifetime and whose manifesto in the 1983 election is widely regarded as the worst ever. Like every socialist leader in my lifetime, he was rejected by the electorate. Scally also admires Angela Davis, an unedifying radical far-left activist who was somehow invited to speak at a public health conference in San Francisco. Members of the American Communist Party talking about Palestine at a supposed public health conference nicely highlights how divorced the movement is from medicine and how far it has morphed into a third-rate student union. If you watch the audience's wildly enthusiastic reaction to Davis's call for "socialism for us all" (at 5.50 minutes), you'll understand why someone like Margaret Thatcher was not a natural partner for the movement. My first association with Thatcher and health was the attempted suppression of the Black report. It was a report on inequalities in health commissioned by Labour when still in power from Douglas Black, a former president of the Royal College of Physicians. The attempt at suppression was farcical and guaranteed that the report gained far more attention than it would have done if published in the normal way. Thatcher was indeed no fan of the Black Report, nor should she have been. It was inspired by the socialist academic Richard Wilkinson who later co-authored The Spirit Level and is certainly no fan of her. It was a blatantly political document designed to push the government towards further income redistribution. Thatcher released it on a bank holiday so that it would get minimal publicity, but she was undermined by civil servants who made sure it was well reported. Also suppressed in those early days was a government report on alcohol that showed clearly that increasing its price was the most effective way of reducing the harm it caused. How little public health has changed! Thirty years on and they are still treating the law of demand as if it were an exciting new scientific discovery. Then, as now, the doctors never understood that the mere fact that raising the price of a product will, ceteris paribus, reduce consumption is no reason to do. In any case, Thatcher raised alcohol taxes many times when she was in office and her government funded Alcohol Concern from its inception in 1985—two facts that Smith fails to mention. I was, and still am, keen on public health, and Thatcher with her ideological commitment to individualism and disbelief in society never liked public health. 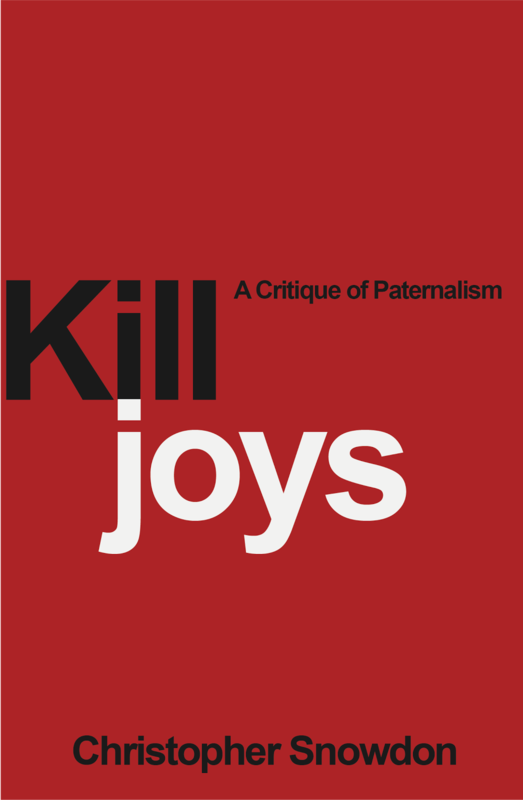 Secondly, individualism is about self-reliance, personal responsibility and living one's own life without being coerced by the state. Naturally, therefore, it is incompatible with 'public health' in the corrupted sense by which that term is understood today. I am grateful to Smith for reminding us that 'public health' is necessarily at odds with personal liberty. That is why so many of us see it as one of the greatest threats to freedom in Britain today. By the way, if you are interested in Margaret Thatcher—whether you love her or hate her—I recommend you watch Martin Durkin's documentary on Channel 4 tomorrow at 7pm. Several bloggers, including Tim Worstall and Left Food Forward, have had some fun with the Guardian report about this study. ... "Marked and rapid reductions in mortality from diabetes and coronary heart disease were observed in Cuba after the profound economic crisis of the early 1990s," the doctors write. "These trends were associated with the declining capacity of the Cuban economy to assure food and mass transportation in the aftermath of the dissolution of the former Soviet Union and the tightening of the US embargo. Severe shortages of food and gas resulted in a widespread decline in dietary energy intake and increase in energy expenditure [mainly through walking and cycling as alternatives to mechanised transportation]." We've come across these researchers before. Their previous study was cited by campaigners when a tax on fizzy drinks was mooted earlier this year. In fairness to them, they are demanding neither famine nor communism. They have used the example of Cuba because the data are useful for comparing calorie intake, exercise, obesity and disease rates. They do, however, suggest that similar health outcomes could be engineered if governments found a more humane way to bring out mass weight loss. My problem with their study is that the evidence doesn't really support their conclusion that mild starvation reduced rates of heart disease mortality in Cuba. Their case rests on this graph which shows coronary heart disease morality (red) against obesity (blue). 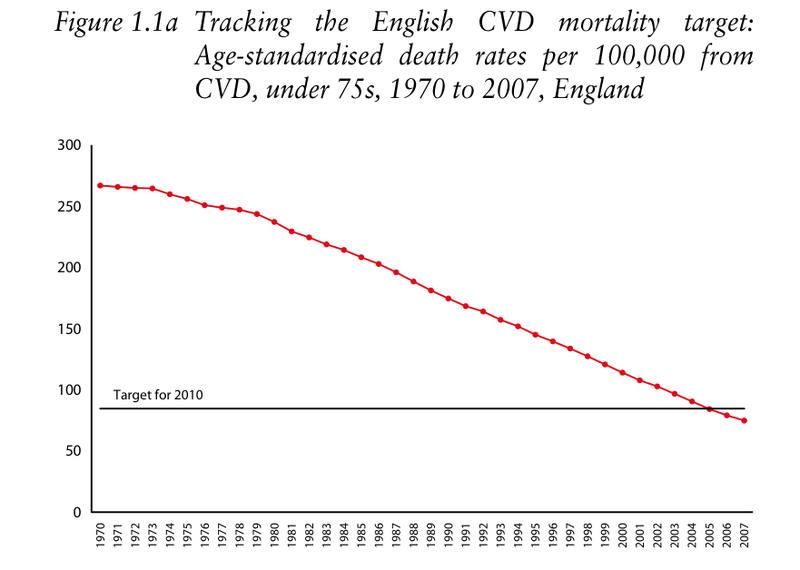 It does appear that rates of heart disease fell within a decade of the obesity rate falling, but this is a significant time lag and it is also apparent that the heart disease rate did not start rising again when obesity surged upwards again (to a record high). There was little or no impact on rates of cancer and stroke. A further problem is that the researchers don't look at what happened in other countries, ie. they did not use a control. Heart disease has fallen in most developed countries, often sharply, in recent decades for reasons that are not fully understood. And although I would never suggest that there is no relationship between obesity and cardiovascular disease, obesity doesn't seem to be a big enough factor to dictate nationwide rates of CVD mortality. Here is data from the USA showing CVD morality since 1900. As in many countries, rates peaked in mid-century and then fell steadily. 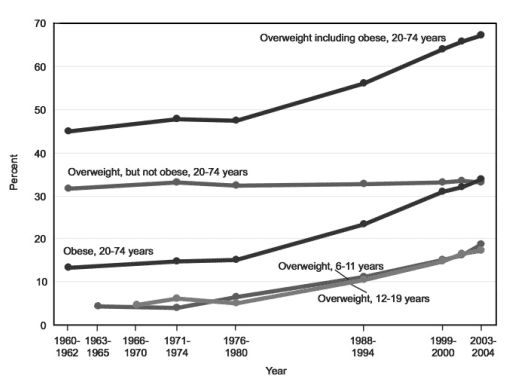 And here is some obesity data from the USA. 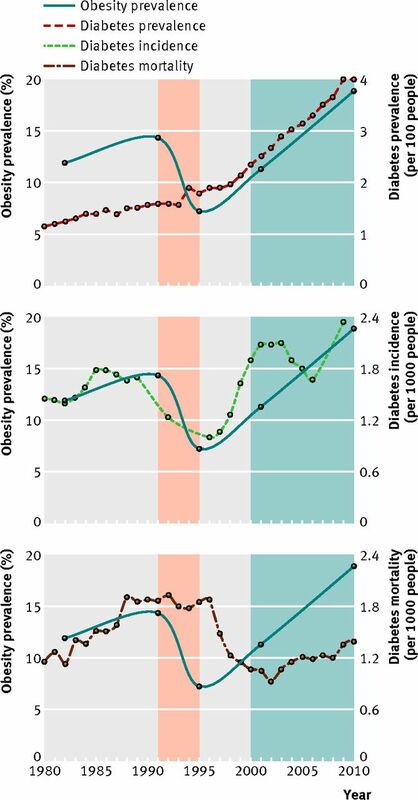 I'm sure I don't need to paste these figures together for you to see that there is no correlation between obesity and CVD mortality at the population level. If anything, there is an inverse correlation. The same is true in the UK, where heart disease rates have fallen at a sharp and steady rate while rates of obesity have risen. The researchers are on firmer ground when they compare obesity to diabetes—shown below. 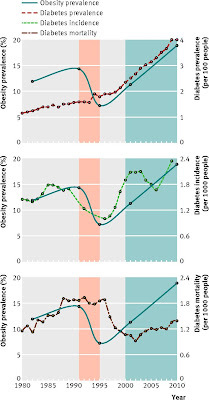 Presumably these closer correlations are due to there being fewer risk factors for diabetes than for CVD, and obesity being a more significant risk factor than most. 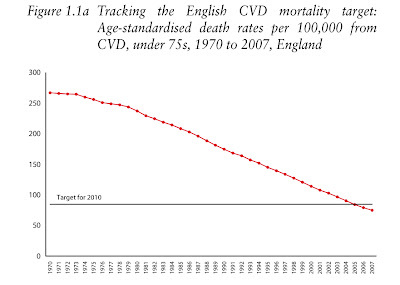 But the claim that Cuba's famine was good for the heart is tenuous and the implication that reducing the average weight of Britons by 5 kilograms would "slash deaths from heart disease by a third" is hard to swallow. There is an irrefutable case to be made for requiring people to be vaccinated against diseases that threaten public health. Whether a democratic society would ever allow individuals to be held down against their will and have a needle stuck in them is questionable. But social and economic sanctions, like those applied in the United States could be introduced – benefits might be affected, choice of school or employment might be restricted. Society simply should not be prepared to indulge the misinformed fantasies of ignorant people. Unfortunately, while UK and Scottish Government policies are clearly prepared to push the promotion of healthy lifestyle policies to the limit, the National Health Service – which administers many of these policies – does not always set the best example. The sight of a grossly overweight nurse fills me with disgust. However, for many overweight patients, she may serve as a comfort and a validation of their own bad diet. Workers across the health services should be required to be non-smokers and with an acceptable BMI. If necessary, legislation should be introduced to allow contracts of employment to be so written. The long-term answer is education. But how long to educate a public eager to follow any scare story it comes across on the internet and unwilling to accept establishment advice based on good science? Fluoridation of the water supply triggered the same kind of hysterical opposition when the only effect it has – verified over decades – is to reduce caries in the mouths of the most deprived of our children. That example should haves served as a warning that the public cannot distinguish between good science and bad research, cannot evaluate risk. They must sacrifice some of their civil rights for their own good and that of the community. They must also be protected from those companies which want to kill them for profit. Soubry repeated the old lies about rates of asthma and acute myocardial infarction falling after the smoking ban, thereby showing how quickly junk science can be adopted as truth at the highest levels of government. I guess it's too much to ask a health minister to consult the Department of Health's own figures to see if hospital admissions did fall as has been claimed in reality. This is strictly my own view but I think that one of the reasons why we have a counterfeit trade—this may be absolutely obvious—is because of the high price of cigarettes. Yes, it is obvious. Perhaps she should notify her employees at ASH? We know that the package itself plays an important part in the process of young people and their decision to buy a packet and to smoke cigarettes. We know nothing of the sort and it has only been very recently that anti-smoking campaigners have made such a claim. Anna Soubry MP: I genuinely do not know whether or not the Government will put such a proposal into the Queen’s Speech. Lord Blencathra: Would you recommend it from your Department? Would you recommend that they should? Anna Soubry MP: You know that I cannot give my view. You are being very naughty, my Lords. As for the Tobacco Products Directive, one of the main bones of contention is the de facto ban on e-cigarettes that would come about from lowering nicotine levels well below the point at which they have any consumer appeal. Lord Blencathra: We have received some written evidence from a doctor and he seems to be suggesting, if I understand the scientific figures, that the amount of liquid nicotine in the e-cigarettes would be insufficient to keep smokers hooked on the electronic one because it is too low. He seems to suggest that unless the amount of nicotine liquid in e- cigarettes is slight higher, or at a level compatible with what a 20-a-day smoker would get, then people will find that they are getting no kick from these electronic cigarettes and will all switch back to normal fags. Do you accept there is some argument there which your scientists are looking at—the level of nicotine gel, liquid, whatever? Anna Soubry MP: The straight answer is yes. For example, there is an argument to be advanced that you could actually buy different strengths of nicotine within an e-cigarette as part of your programme, your own personal plan, to stop smoking. For example, I stopped smoking, not overnight and by going cold turkey, which I would have found exceptionally difficult, but by slowly reducing the amount of cigarettes that I smoked, down and down to one or two a day until I finally stopped smoking. I never did stop smoking; I just stopped buying cigarettes and scrounging them from other people. These are the kind of psychological games that one plays. For those people who do want to give up smoking, I can see that they may well want to move on to e-cigarettes, or supplement them in some way and then move fully on to e-cigarettes, and then reduce the amount of nicotine until the time comes when they are actually able to say, “I am no longer engaging in this”. Lord Blencathra: Is that an argument that you would make in your discussions with the EU? Anna Soubry MP: Yes. Very much. Well, I would hope so. I have just dropped my official in it now. No. I mean you have got to, have you not? Lord Richard: I want to deal with the same matter. We have had an interesting letter, out of the blue, from a Dr Upton in Falmouth. He said: “I have today watched with interest the committee meeting regarding the” European Tobacco Products Directive, and then he sets out in great detail the scientific evidence. He comes to this conclusion: “I am embarrassed to admit that I was a smoker myself until August 2012”. He then goes on to talk about e-cigarettes. He said, “I tried an e-cigarette at my wife’s insistence during July of last year with the full expectation that it could not possibly work. I made the assumption that with the amount of money that the NHS spends on smoking cessation, e-cigarettes would’ve been recommended by my own GP, had they been safe and efficacious”. He had a sort of Damascus moment, as far as one can see. He then came to this conclusion: “I am now convinced that we currently cannot say that e-cigarettes are safe (and we will almost certainly be unable to do so objectively for another 10 to 20 years). However, I strongly believe that the evidence of analyses that I have seen in peer reviewed documents indicates to me that e-cigarettes are somewhere between 95-99% safer than combustible cigarettes and that they may prove to be 100% safe—only time will tell”. Do you share that conclusion? Anna Soubry MP: I could not say that I do or do not because I do not have the requisite knowledge, skill and expertise to say so. What I would say is that I hope you will share his views with me and I will put them through to the Department and into the debate—because we clearly are having a debate—as to what we should do with these cigarettes. No doubt these are good points well made. Lord Richard: But do you take the basic point that an e-cigarette is safer than a combustible cigarette? Anna Soubry MP: Oh yes. I do not think anybody would argue that it could be anything other. I quoted this at length because it shows that there is significant awareness of this problem. It remains to be seen whether they will do anything about it or if they will allow the EU to push several million people back onto real cigarettes. We are now a third of the way through the decade (where did the time go, etc.?) 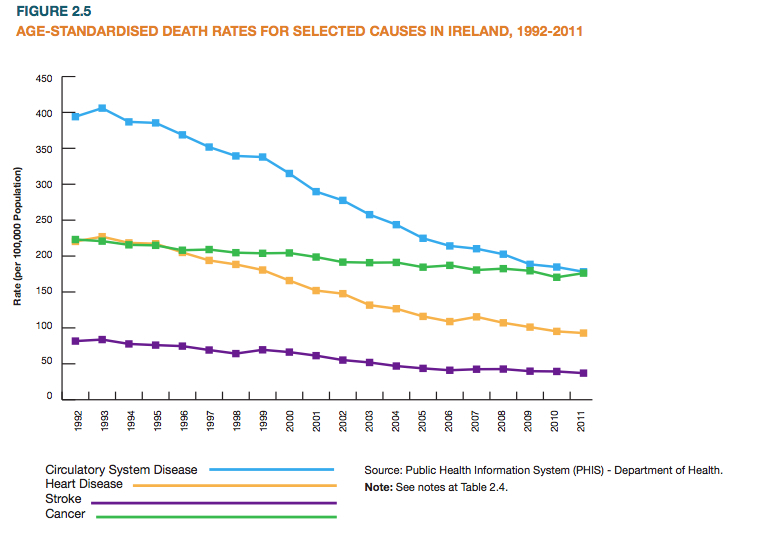 so let's take a breather and chart the progress of 'public health' against its own manifesto. 1. A minimum price of 50p per unit of alcohol sold. When? By 2011. Enormous effort has gone into this one, including sock puppet campaigning by the Department of Health and appalling junk science. Alas, the policy has little support in cabinet and it has been criticised across the political spectrum for being regressive and anti-competitive. It is also almost certainly illegal under EU law and now seems to have been ditched. The nanny statists will keep on trying, however, so expect to hear more about it, especially if Labour wins the 2015 election. 2. No junk food advertising in pre-watershed television. When? By 2011. This is basic slippery-slope stuff. They got the government to ban 'junk food' ads during children's programmes several years ago but—surprise, surprise—that wasn't enough for them. Some dubious research came out last year claiming that the chiiiiiiiiiildren were seeing more of these ads than they had before the ban. Unintended consequences or junk science? I don't know, but the government has so far resisted the food faddists on this one. If they ever succeed, you can expect a total television ban to be the 'next logical step' as per tobacco. 3. Ban smoking in cars with children. When? By 2011. The blurb for this part of the manifesto says: "Evidence shows that air inside a car can be 23 times more toxic than a home environment in the context of passive smoke." This notorious clanger (which I first wrote about in 2010) helped to undermine the BMA's campaign to push this policy through in 2011. It is based on a well-debunked myth and the Meddling Association later issued a retraction. Tellingly, the BMA's 2011 campaign was for a ban on smoking in cars even if no other person was present. This was a pretty clear indication that passive smoking was not really the issue and that it was never really about teh kidz. The real purpose was to set a precedent for prohibiting smoking in private environments (next stop, the home). Subsequent attempts to revive the campaign have reintroduced the 'think of the children' element. It is likely that some politician or other will see this as an easy way to make a name for themselves in the near future. 4. Chlamydia screening for university and college freshers. When? By 2013. This one relates to healthcare and therefore isn't of much interest to the professors of sociology and English literature who dominate 'public health'. If you haven't noticed much of a campaign for this policy, it's because there hasn't really been one. Any student can get tested for Chlamydia for free, as they could in 2010. The blurb for this part of manifesto vaguely alludes to "targeting students on entry to university or college" but does not go into specifics. 5. 20 mph limit in built up areas. When? By 2011. This is a favourite of the Green Party and there are a bunch of 'civil society' groups who are pushing the EU to legislate a 20mph/30kmph limit in urban areas. It is just the kind of policy Eurocrats love so I wouldn't write it off, although the UK Faculty's 2011 deadline was hopelessly unrealistic. 20 mph is a ridiculously low limit in most urban settings and the UK Faculty acknowledges that most drivers would find it intolerable. That is the whole point. They say that they expect it to "discourage people from using polluting cars because of the “frustration” of having to drive slowly." The Greens love it for the same reason. 6. A dedicated school nurse for every secondary school. When? By 2012. "An RCN survey in 2009 reported that 64% of school nurses consider their workload too heavy," says the UK Faculty. It would be interesting to compare that figure with surveys of people in other occupations. Most people moan about having too much work to do, as far as I can see, especially in the public sector. Still, this is the only other healthcare-related item on the list and it is not a bad idea if it is necessary and cost-effective (which is highly questionable). In any case, this part of the manifesto has not had much effort put into it, probably because it doesn't involve banning things. 7. 25% increase in cycle lanes and cycle racks by 2015. When? By 2015. The UK Faculty mentioned this expensive but not entirely unreasonable idea again in August 2010, but since then nothing. The cost makes it unappealing to politicians and the lack of a prohibition element makes it unappealing to the aforementioned sociology lecturers. There have been a few local initiatives, but the 25% target is unlikely to be met. 8. Compulsory and standardised front-of-pack labelling for all pre-packaged food. When? By 2011. Specifically, this refers to the traffic light labelling system that is so beloved of nanny statists. The problem with this system is that is is rather arbitrary and it implies that certain foods, rather than certain diets, are inherently unhealthy. It won't take long for consumers to notice that the tastiest foods have a red light on them and start using the system in quite the opposite way that is intended (those unintended consequences again). Nevertheless, it allows public health folk to dictate how packaging looks—and we know how much they like that—and so there has been a concerted effort to legislate. Prof Alan Maryon-Davis, an expert in health promotion from King's College London and a former president of the UK Faculty of Public Health, said: "This is welcome news - at long last... This is a triumph for public health and common sense - but just goes to show how the voluntary approach can be so much slower than government regulation." The scheme will come into effect later this year. Inevitably, left-wing MEPs want Brussels to bring in EU-wide legislation. 9. Olympic legacy to include commitment to expand and upgrade school sports facilities and playing fields across the UK. When? By 2012. School playing fields have continued to be sold off. 10. Introduce presumed consent for organ donation. When? By 2012. They could increase the number of people who have organ donor cards by making it easier for people to get them, but that would take a bit of work and imagination so the answer—as ever—is to legislate. The public is divided on the issue of the state owning your body after you die and there is no sign of the British government passing a presumed consent law any time soon, but the Welsh Assembly will be pushing ahead with the controversial legislation in 2015. 11. Free school meals for all children under 16. When? By 2014. There's no such thing as a free lunch. What this policy does is force people who don't have children at school to feed those who do. And since most children don't need free school meals at all, this policy serves no purpose other than to make children the custodians of an ever-growing state. It is an example of medical socialism, which explains why hard left groups such as CPAG and sock puppet charities such as the Children's Food Trust are so keen on it. It does not seem likely to become government policy in the near future. 12. Stop the use of transfats. When? By 2011. There was never much hydrogenated vegetable oil in the British diet to begin with and the government's much maligned voluntary code "commits businesses to remove artificial trans fats from the few remaining products that still contain them by the end of 2011." As such, the UK Faculty can claim a win, albeit one which is unlikely to have any tangible effect on health. So far, very few of the dozen targets set out at the start of the decade have been met, nor look likely to be met. In the main, that is a jolly good thing since most of them are pointless at best and repellant at worst. We can be sure that the campaigns for the most reprehensible of these objectives will continue for years to come. What is most interesting about this list is what is not on it. You'll note that plain packaging of tobacco—which they now claim to be an urgent public health priority—does not feature at all. That is because it was barely on the radar at the start of 2010 and it only moved up the pecking order because a few extremists in Australia persuaded the gullible Gillard government that it was worth pursuing. Similarly, there is no mention of a fizzy drink tax. Indeed, there is nothing specifically about sugar and certainly nothing about banning large sodas. The sugar panic has rocketted up the policy agenda thanks to a dodgy Youtube video and a camera-hogging crank. For a movement that claims to base its policies on years of rigorous evidence, it is strangely opportunistic. It will be interesting to see which hare-brained ideas have suddenly taken hold when we review their progress in another three years. Prof Fenton said policy makers had to look at what he described as “the obesogenic environment – a society that is been promoting too many calories, too high portions”. He said he wanted restaurants to make children’s portions smaller... Prof Fenton also suggested there should be a complete ban on companies advertising sweets and fatty snacks during children’s television. Hat tip to David Moss for spotting this in the comments of the last post.